Menu says: "Pepper-rubbed kurobuta pork tenderloin, brandy-green peppercorn veal demi, mashed Yukon potato, roasted sweet onion, apple chip." We say: If you've never heard of kurobuta pork, just know that it takes the already delightful flavor of pork you know and love, and amps up the deliciousness. Add in the comforting flavors Wild Sage builds around it, and this is a pork-lover's must-try. Menu says: "Fred Flintstone is impressed with this dish! Three tender ribs glazed with bourbon barbecue sauce. Choice of one side." We say: Ribs, you say? Bison-sized ribs? We love even the baby-back-sized ribs, but three big ol' suckers with bourbon barbecue sauce sounds like a dream. Any rib that genuinely takes two hands to eat — or even lift — is OK in our book. Menu says: "Traditional grilled meatloaf, celery root, apple and smoked Gouda whipped potatoes, chipotle blackberry ketchup, micro green salad." We say: Our mama didn't use elk in her meatloaf, so the chance to experience a favorite dish with an unexpected meat source is one that needs to be taken advantage of. And smoked gouda whipped potatoes and chipotle-blueberry ketchup to sop up with every bite? Yes, please. Menu says: "Potato chips, house beer cheese, goat cheese, charred corn salsa, Anaheim chili, cilantro chutney and pickled jalapeños"
We say: Look at that array of toppings and gooey cheeses and tell me you would really miss having beef or chicken in the mix. Anaheim chiles bring some sweet flavor, as does the corn salsa, but let's not kid ourselves — that beer cheese is the star of the show. Menu says: "The first of its kind in Spokane, the Beyond Burger is a vegan burger made out of pea protein, created to taste and look just like a traditional burger patty." We say: If you've been skeptical of trying a vegan burger, now is the time to change your mind. Beyond Meat is one of the two leading plant-based meat substitutes that taste incredibly like the real thing. And you know the Lantern knows how to treat a burger right — vegan or otherwise. Menu says: "Roasted acorn squash, caramelized onion, wild mushrooms, smoked blue cheese, basmati rice, garlic, toasted pumpkin seeds, orange molasses reduction." We say: A good squash dish relies on the chef's creativity to bring an otherwise simple food to life, and there's no question this is one of the more creative approaches you'll see on this year's menus. The smoked blue cheese and toasted pumpkin seeds are enough to pique our interest; the orange molasses sauce puts this dish over the top. Menu says: "Smoked and deep-fried pork belly cracklins, housemade pepper jelly." We say: Cracklins aren't for the faint of stomach. Not everyone has a hankering for the combination of pig skin, fat and meat, but for anyone with a love of genuine Southern flavor, cracklins are little tastes of heaven. And you know the Casper Fry pork belly version will hit that sweet spot that's a perfect match for the spice of the pepper jelly. Menu says: "Southern-style hush puppies filled with Andouille sausage and aged cheddar. Served with Old Bay caramelized fennel dip." We say: Hush puppies by themselves are enough to get us excited. When you start talking about stuffing them full of spicy andouille sausage and cheese, you've taken the hush puppies from a comforting side dish to the potential star of the night. Menu says: "Flash-fried cheese curds tossed in salted caramel, topped with sauteed bacon and jalapeños, finished with sriracha." We say: We love cheese curds, you love cheese curds, who doesn't love cheese curds? We can safely say we've never seen cheese curds served up quite like this, though. 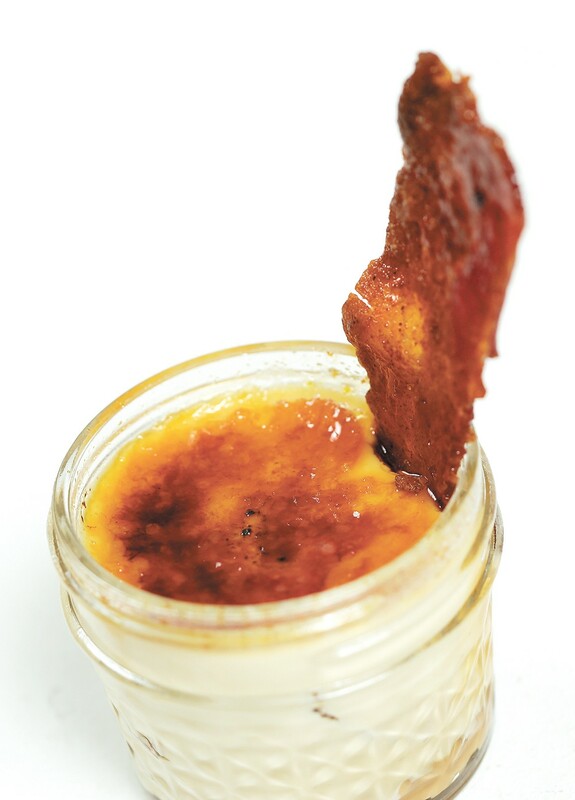 Salted caramel playing off the smokey sauteed bacon and some spicy jalapenos? That's a cheese curd party, people. Top it off with sriracha and you're going to need something to cool your jets afterward. Menu says: "Fresh-made tortellini filled with house-smoked salmon, tossed in a lemon and butter sauce." We say: You'll find a lot of seafood on the Inlander Restaurant Week menus, prepared myriad ways, but sometimes the simple things are best. It doesn't get much more simple than freshly made pasta filled with salmon and tossed in lemon and butter. Simple food done well by people who know what they're doing. Menu says: "Halibut, clams, mussels and shrimp simmered in a rich tomato broth. A menu favorite from the start." We say: Why settle on just one kind of fish? If you're a seafood lover, a hearty stew like this one, full of halibut, clams and more, is a godsend. Be sure to ask for some bread to soak up every last bite of that broth, too. Menu says: "Wild Alaskan coho salmon baked in puff pastry with a duxelle of mushroom and spinach served with a lobster cream sauce." We say: We've never had this dish, but we trust Fleur de Sel with every ounce of our being to create something amazing with everything they do. This combination of vegetables, wild Alaskan salmon and a creamy lobster sauce is tantalizing, to say the least. Menu says: "Two enchiladas stuffed with a blend of chicken, zucchini, yellow squash, spinach, quinoa and cotija cheese, simmered in our fire roasted pasilla cream." 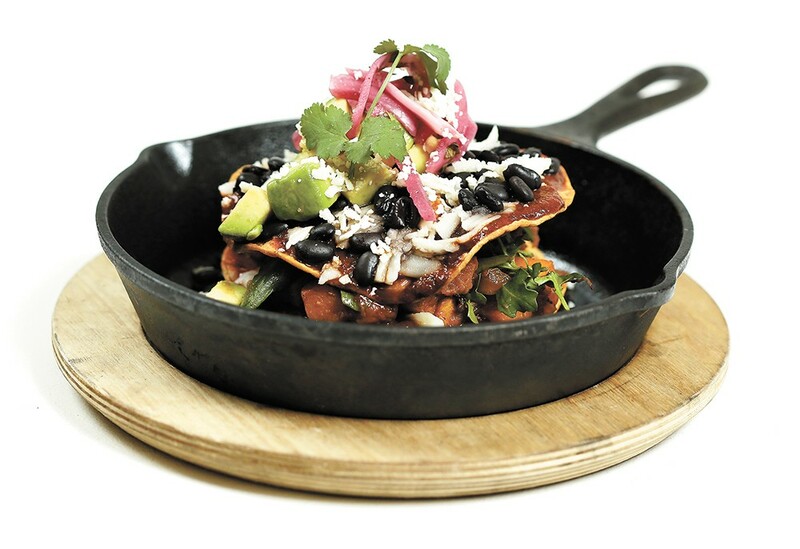 We say: Not being able to eat gluten becomes the least of concerns when you order this south-of-the-border, veggie-heavy dish. Even wheat-eaters won't miss the carbs here. A perfect melding of flavors and textures all wrapped in a corn tortilla make this a tasty treat for diets of any kind. Menu says: "Palouse-grown chickpeas mashed with roasted garlic and stuffed in mini bell peppers, oven roasted and served over wilted spinach, balsamic caramelized onion, and drop peppers." We say: You had us at chickpeas and garlic, the basis of everyone's favorite Mediterranean dip, hummus. The deal was sealed by that mention of balsamic caramelized onion. Menu says: "A rich flourless chocolate cake served with raspberry sauce and Chantilly cream." We say: Gluten-restricted chocolate cake lovers can still get theirs and eat it, too. The figurative and literal icing on this cake is that sweetened whipped cream, and of course generous drizzles of tart berry sauce. Menu says: "Warm orange coffee cake, housemade bourbon ice cream and cherry whipped cream." We say: You could order a drink for dessert. You could. But this edible take on one of the most popular craft cocktails is just as tempting as its spirits-based namesake. Orange bitters become orange coffee cake; the bourbon evolves into ice cream, and a liqueur-soaked garnish pairs with a splash of sugar to become cherry whipped cream. It's not over the top if you order the actual cocktail to pair with this, too. Menu says: "A famous Brazilian chocolate candy, and a favorite for all! The Brigadeiro is made from condensed milk, cocoa powder, butter and chocolate sprinkles." We say: With plenty of dessert classics, from chocolate mousse to creme brulee galore, filling the third course lists of many Inlander Restaurant Week menus, step outside the box and sample this Brazilian delicacy, comparable to a bon bon or a truffle. Menu says: "Traditional Native American fry bread with vanilla ice cream, honey, and huckleberry syrup topped with whipped cream." We say: Enjoy this culturally significant dish, a simple staple made from flour, water and salt, then fried in oil, served in an ultra-decadent way, warm and topped with regionally appropriate huckleberries, as well as honey and ice cream. Menu says: "18-hour smoked beef brisket + four cheese béchamel + baby spinach." We say: You can eat your cheese, and veggies, too, with this concoction making a decadent twist on the pasta-from-the-box staple. Menu says: "Local choice sirloin steak sauteed with mushrooms, onions, and garlic in a rich beef sauce topped with creme fraiche over egg noodles." We say: Hamburger Helper, nor your grandmama's recipe, got nothin' on this gourmet take of the family dinner staple. If beefy noodles aren't your favorite, also consider another comfort food favorite featured on Barlows' Restaurant Week menu, the house-made meatloaf. Menu says: "Yukon mashed potatoes, rich chicken gravy, scratch-made buttermilk biscuit with honey butter." 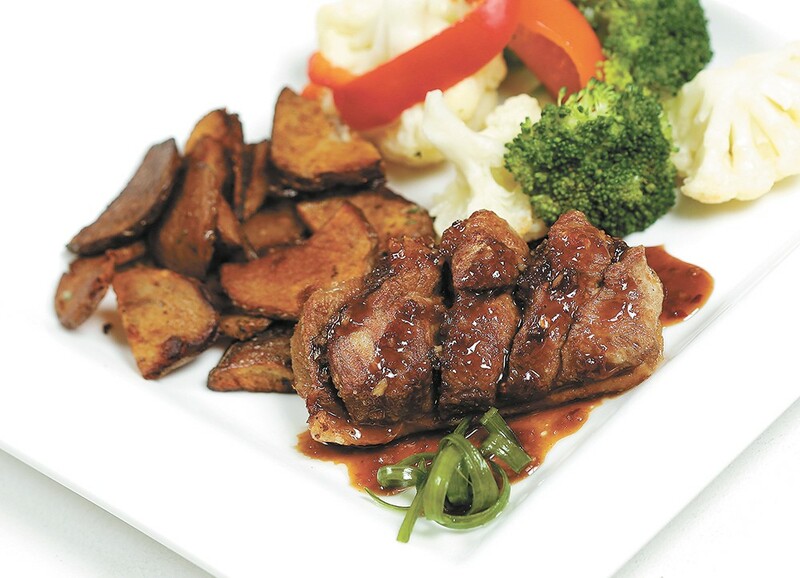 We say: Fill your belly until it's about to burst with this ultra-hearty portion of Southern comfort goodness. Chef Tyler Schwenk and team's honey butter is truly a thing to die for, and you'll find yourself soaking up every last drop, along with that chicken gravy, using every last crumb on your plate. We say: On the rare chance you've yet to experience the upscale European dining experience that is Santé, we must recommend a stop during Restaurant Week. Owners Jeremy and Kate Hansen don't lessen the quality of their scratch-made ingredients, or the dining experience itself, when diners are getting a meal for about half the price of what those dishes might be any other time. We hope you'll be impressed, too. 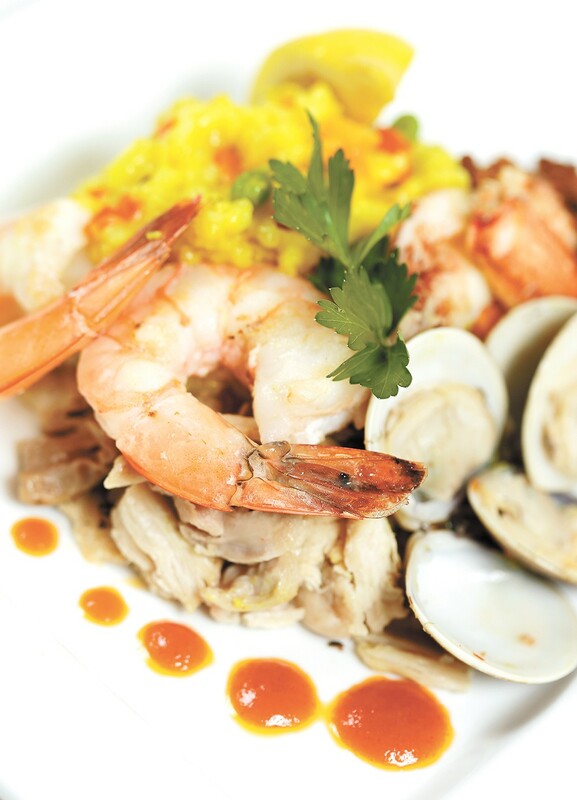 We say: Restaurant Week is the perfect time to visit a new-to-you fine dining spot, or simply return to one of your favorites for a special treat, like Browne's Addition neighborhood gem Italia Trattoria. This year, owners Bethe Bowman and Anna Vogel are treating diners to several specials and a few house favorites, including the Italian ricotta and spinach dumplings as a starter, and three dessert menu mainstays. We say: Make your reservations early for a Restaurant Week dinner at one of the most romantic spots in North Idaho, and that's literally floating on the waters of Lake Coeur d'Alene. Featured on this year's menu is the restaurant's house favorite cedar-planked salmon (normally priced at $27 per plate). Truly, you'll be dining like royalty for nearly half the price at this upscale locale. Keep in mind, as with all Restaurant Week dining experiences, to tip generously, and to plan ahead by making reservations. It'll be much smoother sailing — or floating — for all. The original print version of this article was headlined "Dig In!"